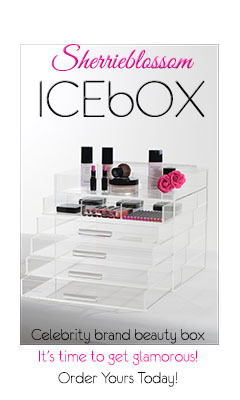 kandeej.com: You can have a treasure from an OSCAR gift bag too! You can have a treasure from an OSCAR gift bag too! what's more exciting than the OSCARS, the the biggest of big award shows in Hollywood...with the most famous of famous stars seeing who will go home with their own golden Oscar statue? answer: The GIFT BAGS that they give away at the Oscars! if the Safari wasn't enough...how bout some Kim Kardashian watches? or the new Motorola Xoom (the new arch enemy of the ipad)...worth 800 big ones! or a crystal cat collar from Tiffany? and once I found out their story I had to share it!! OSCAR POLISH!! 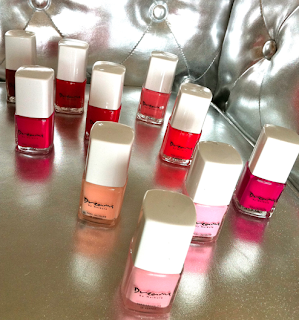 You can get the same polish that ALL the HOLLYWOOD CELEBS WILL HAVE! from an awesome person who started an awesome company! 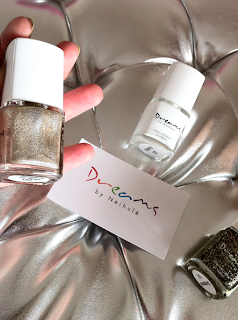 Dreams is not just amazingly pigmented nail polishes...there message about going after the dreams that are hidden in your heart...and how they've teamed up with a charity that works with an Orphanage in Malawi..to help make dreams of parent-less, precious children come true too! You even get a little "love-note-dream-saying in each box of polish"! you're not just getting uber cool, "dreamy" nails...you're also helping make a "dream difference" in a little child's life! I love me some pinks and reds! these are not like any polish colors you've ever seen...they "sparkle" polishes are unlike any other polish I've ever put on! *Super strong-hasn't chipped yet on my nails! 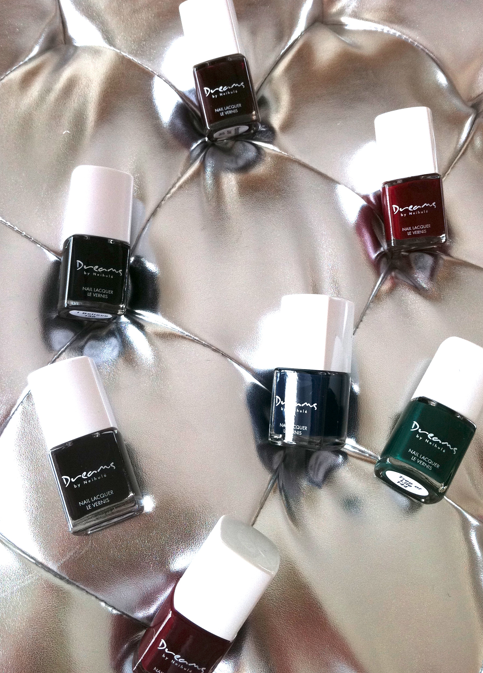 *blows drug-store polish out of the water...way stronger, longer lasting, and amazing pigments! If you order, tell Atouzo I said hi!! He's wonderful, and I am so excited to share his "polish with a message" with you guys! A $91,000 gift bag??? Really??? That's outrageously ridiculous! Who needs OPI! These are gorgeous colors' of polish. Thank you for sharing a product that started from the heart and will continue to touch other heart's. Then we can bring out every color in their hearts! Your next video could be a tutorial on how to do some neat design's with these luscious pop's of color! Thank you for being you Kandee, you make my heart sparkle. "A gift bag worth around $91,000..." Holy crap! I need to find a way to get myself invited to the Oscars. WOW! Is that a silver sofa seat they're on? or a pillow? either way it looks fabulous! 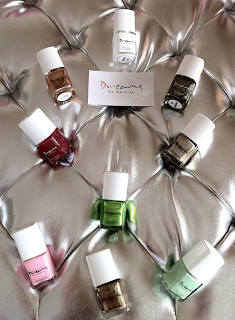 these nail polishes, the company's mission, and YOUR background in your pictures are fabulous!!!!!! If you have the time, I'd love you to post what the background is! Looks as amazing as your pink sofa! I am so buying a few of these colors! Could you please label the colors in the photos? Most of them look much more vibrant than the photos shown on the website to buy them and I want to make sure I'm getting the right ones. please do some make up tutorials from oscar's celebrities.... thanks! What is it about gift bags anyway? Are they trying to "buy" someone off? I mean, wouldn't a simple sincere Thank You work just the same? As for the nail polishes? No thanks. Too expensive. About 6 bottles of that, is one months rent for me. No thanks. I like having a roof over my head than pretty nails to look at. Wow! 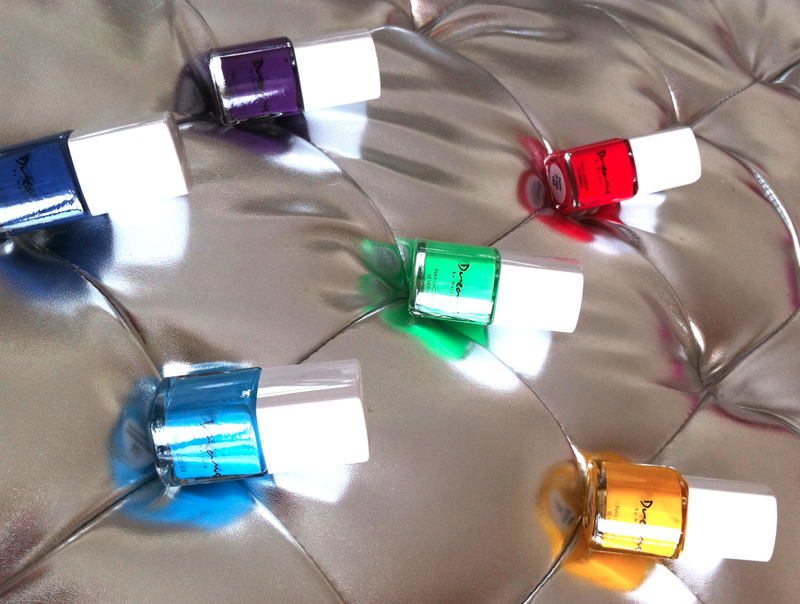 I am loving those nail polishes! I'd MUCH rather have cute nail polishes than a trip to the safari- not a big fan of large scary animals anyway. Pretty nails- YES!! What a beautiful product with a beautiful message. Thanks for sharing people's talents and businesses as always. I put some of these on my easter basket list for my husband! Really?!? An aple iphone 5 and ipad 2 already!?! What's in my "beauty" drawer! Fashion Friday & A Contest! what's in my ears...Ear Candy! I love you...and believe in all your dreams! What are YOU doing on Valentine's Day?!? If I was going to Fashion Week!!! How to do "Super Bowl" Make-Up! How To Color Your Hair At Home ~ Roots! Feathers and a dream come true! FASHION & STYLE SURPRISE: PATRICIA FIELD & NYC!! !